Days before Lok Sabha polls in Delhi, Congress president Rahul Gandhi breaks his silence on Alliance with Arvind Kejriwal's AAP. 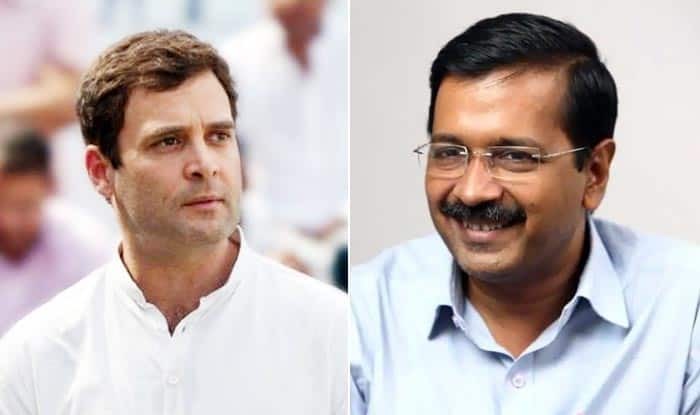 New Delhi: Amid the uncertainty over the alliance with Aam Aadmi Party (AAP), Congress president Rahul Gandhi on Monday tweeted that the grand old party is ready to give up four Delhi seats to Arvind Kejriwal’s AAP to ensure a victory over the BJP. Notably, this was Gandhi’s first statement on his party’s attempts at forging an alliance with the AAP in national capital. “An alliance between the Congress and AAP in Delhi would mean the rout of the BJP. The Congress is willing to give up 4 Delhi seats to the AAP to ensure this. But, Mr Kejriwal has done yet another U turn! Our doors are still open, but the clock is running out,” Rahul Gandhi wrote on Twitter today. Aam Aadmi Party (AAP) convener and Delhi CM Arvind Kejriwal was quick to reply to Gandhi’s tweet. Hitting back at the Congress president, Kejriwal asked what ‘u-turn’ Gandhi is referring to when the talks over the alliance are still underway. “Your tweet shows that the alliance is not something you want but is only for show. I am disappointed that you are just making statements. Today, saving the country from the danger of Modi-Shah is priority. Unfortunately, you are helping Modiji by distributing anti-Modi votes in UP and other states too,” Kejriwal said in a reply to Gandhi.